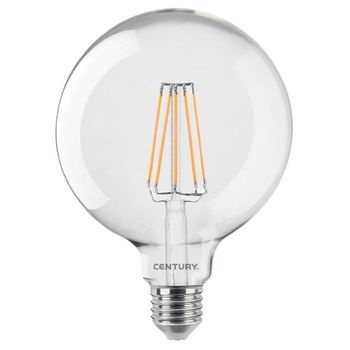 Currently the strongest filament globe on the market with only 10 watt consumption as a replacement for real 100 Watt light output with 1200 lumens. It has a 360° all-around radiation without heat-sink and a perfect light colour of 2700° Kelvin. Ideal for people who like to have a lot of light in the dining and living area.